We are in the business of adding celebrations to our lives. 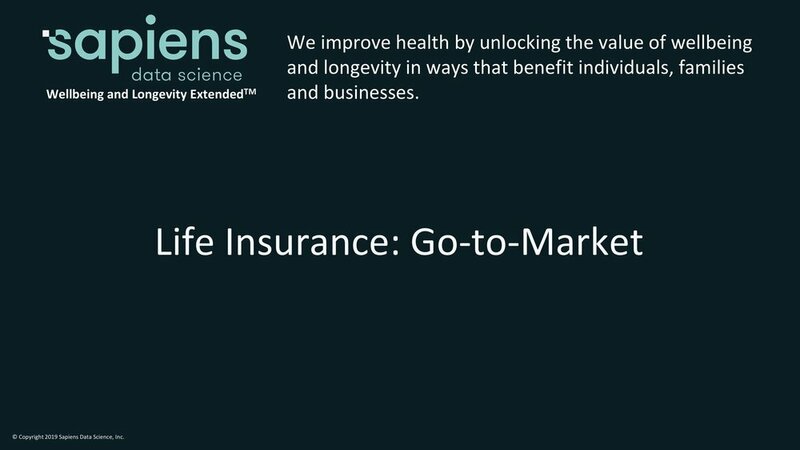 Sapiens Data Science is building a genomics-enabled Wellbeing and Longevity (WEL)™ solution which runs at the speed of science to support the Life Insurance industry. Please review the following slides before your interview. 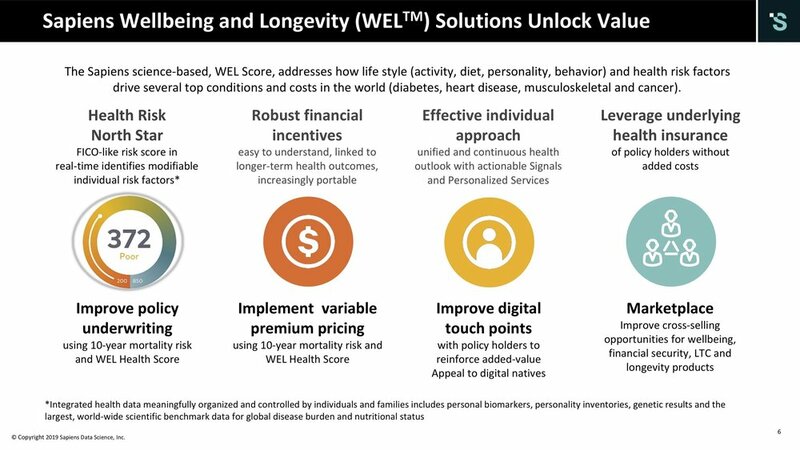 Click on the image below and navigate through each following slide. The interview takes approximately 1 hour. There are no right, or wrong answers and we are looking for your informed opinions, so please don't hold back! During the interview, we will refer to the slides mentioned above. 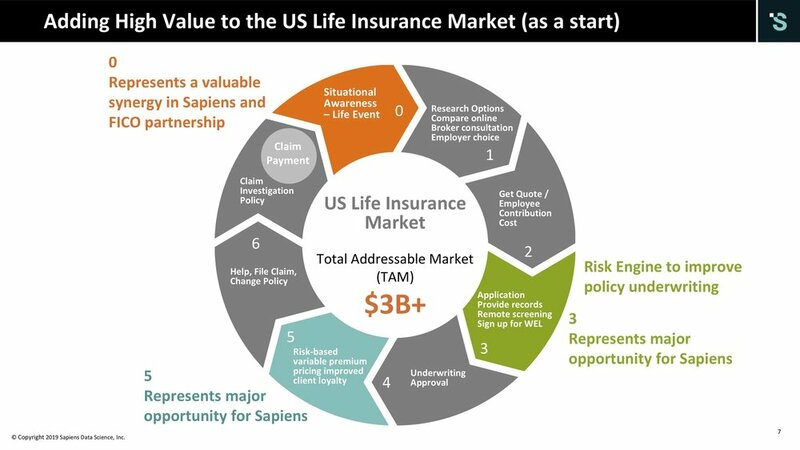 Our objective is to understand and hear perspectives on how this science-based risk scoring, continuous feedback, and lifestyle solution can help the life insurance industry. What determines the success of solution like this for your customers and organization? For further background information, please click here. After the interview, we will send your honorarium check via email in appreciation for your time, consideration and helpful feedback. At your election, VenAdvisory can also donate honorariums on your behalf to a charity of your choice and you will receive a receipt from the cause as confirmation of your donation. Thank you for making a difference! CONTRIBUTING TO A GOOD CAUSE. About Feeding America, their mission is to feed America’s hungry through a nationwide network of member food banks and engage our country in the fight to end hunger.